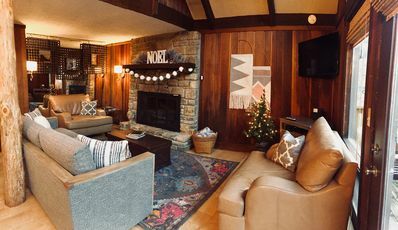 With four true seasons and the highest mountains in the South, Elkheart Cottage lies within the center of it all in Banner Elk, North Carolina. 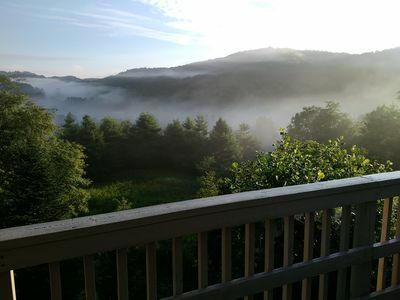 At 3700 feet, Banner Elk mountain summers are pleasantly warm during the day and refreshingly cool in the evenings. 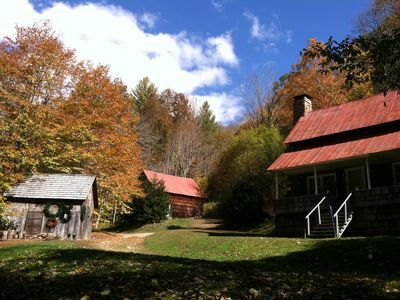 Fall colors are brilliant and winters bring fresh blankets of pure mountain snow that sparkle under clear blue Carolina skies. 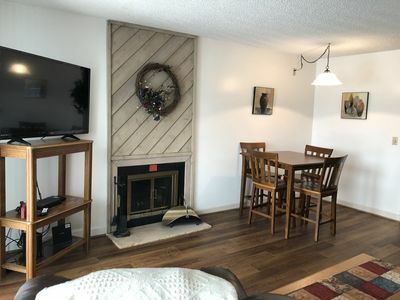 Set in a peaceful, family-oriented neighborhood walking distance to downtown Banner Elk, Elkheart Cottage is a fully remodeled, cozy, and tastefully decorated 3-bedroom home totaling 895 square feet. 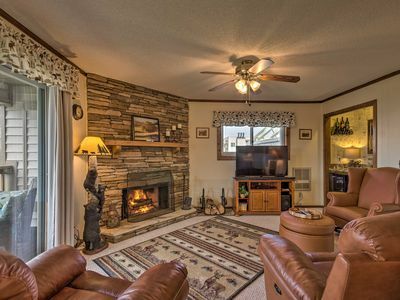 Built in 1963, this traditional mountain cottage boasts a beautiful and unique handcrafted stone hearth and gas fire stove. 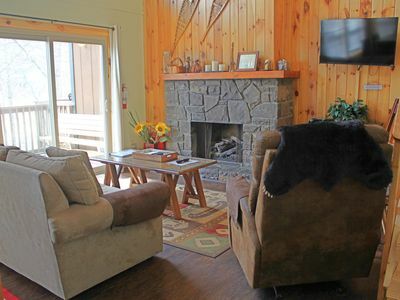 Our home offers comfort, style, serenity, and convenience in a nearly flat location, perfect for anyone with or without a 4WD vehicle. 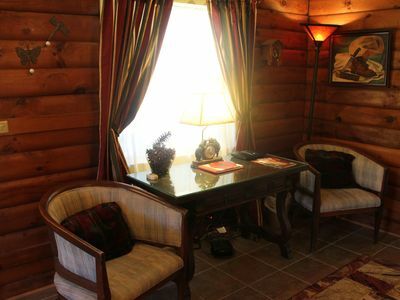 The cottage sleeps up to six comfortably, with a queen bed in the master bedroom, a daybed with pullout trundle in the second bedroom, and a bunk bed with single above/full below mattress configuration. The single, shared bathroom has a large soaking tub and a beautiful mountain view from the window. A washer and dryer are included with the property. We have wireless, broadband Internet and a SmartTV with Roku, which has Amazon Prime Video, Netflix, and other apps; you use your own account to log in. We have basic cable TV (digital plus package may be arranged free of cost for longterm guests of 28 nights or more). There is a large library of family-friendly DVDs. A complete selection of board games and books, including a North Carolina travel and local lore collection, are provided for some old-fashioned enjoyment. 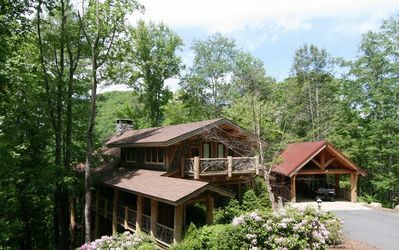 There are large, gated decks on both the front and the back of the cottage. The front deck has excellent southern exposure and is outfitted with comfortable deck furniture perfect for dining al fresco. A family-friendly rental, we have a wide selection of toys for both indoors and outdoors for those guests that request them, along with various safety gear, a pack-n-play, and play yard. All towels and linens are provided, and the kitchen is fully stocked with all cookware, utensils, and dishes. We also offer a selection of complimentary teas and coffees, plus a choice of “starter” groceries to get your first morning started off right! For the outdoor sports enthusiasts, secure outdoor storage for skis and bikes is provided. Elkheart Cottage has parking for two vehicles. A third vehicle could be accommodated in a crunch, at a nearby property. We are a dog-friendly rental with some limitations/requirements. Please review the pet policy information below in the Notes section. No cats are permitted. The minimum age for renters is 25, and proof of identification may be required upon contract signing. 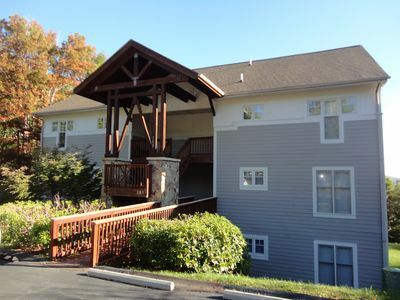 Located within walking distance of Tate-Evans Community Park and Amphitheater, Banner Elk Village, shopping, dining, adventure outfitters, and Lees-McRae College. Numerous festivals and celebrations happen throughout the year, there is always something to do, or you can just do nothing and be in BE! Nestled in the valley between Sugar and Beech ski mountains, the area is also a three season mountain biking and road cycling paradise. 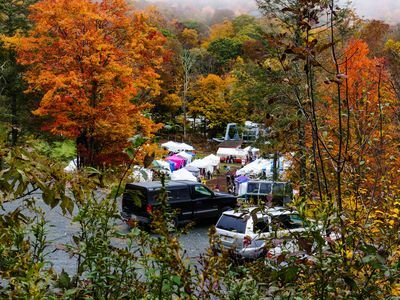 Golfing, hiking, tubing, caving, canyoneering, ropes courses, ziplining, tubing, ice skating, Tweetsie Railroad, arts festivals, Grandfather Mountain Scottish Highland Games, wineries, farm tours, farmer’s markets are just some of the many opportunities for fun in the High Country. 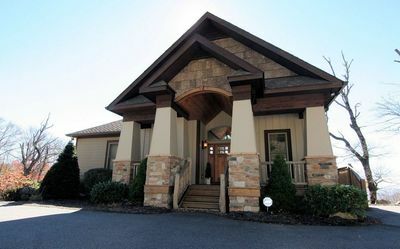 Walk to the community park and town for special events, festivals, the free summer concert series, and some of the finest dining in the high country. Fine dining spots include Sorrento's, Stonewalls, Artisanal and the Louisiana Purchase. 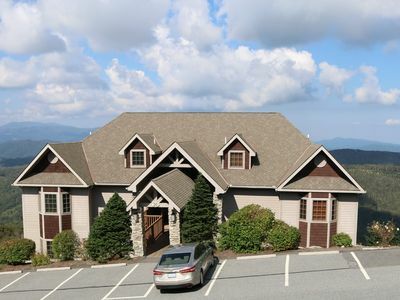 Family and casual spots include the Banner Elk Cafe & Lodge, Dunn’s Deli, and The Bayou. There’s shopping, art galleries, spa services, pet groomers, My Best Friend’s Barkery, post office, convenience stores. Lowes, Foods, Food Lion, ABC, and Dollar General are a short 5-10 minute drive away. 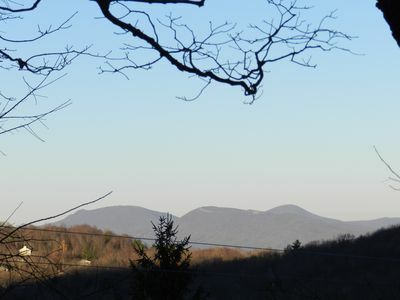 Boone, with all of its conveniences and attractions, is only a 25-minute drive away. 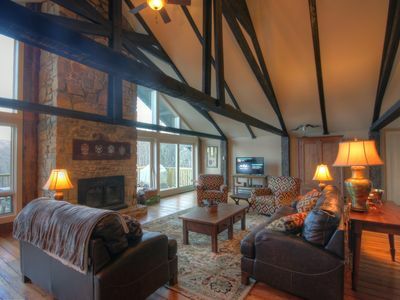 No matter the weather or the time of year, Elkheart Cottage is set among some of the finest scenery in the South. We welcome you to stay with us and experience it for yourself. We are sure you will return time and time again, to just be in BE! 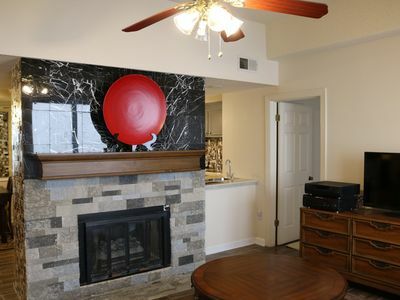 Full payment is required upon reservation acceptance, unless otherwise arranged with the owner. In order to more quickly process your booking request, please include the number of individuals staying and their approximate ages, and list any pets (breeds/approximate weight). The cleaning rate is $85 per stays of less than a month. Stays greater than a month will receive a custom cleaning quote . Taxes are 12.75% on all rent and fees, unless the stay is for more than 90 days. No tax is charged on stays of more than 90 days. Do you have any pets that will accompany you? We are a dog-friendly rental with some limitations/requirements and a one-time, non-refundable $50 pet fee for stays of less than a month. Stays greater than a month will receive a custom pet quote. Limitations are three (3) dogs with a total, combined weight of no more than 150 lbs. Pets are not permitted on any furniture. Pets will need to be restrained when left alone on the premises in either your own crate(s) or an indoor play yard we can provide free of charge. Dogs must be under the owner's control on a 6-foot leash at all times when outside. There are small children, many other pets, and some livestock (chickens) living in the surrounding neighborhood. No aggressive or unleashed dogs will be tolerated. Owners must ensure to clean up after pets in all cases. We have a wonderful off-leash dog park just a five-minute walk away. No cats permitted. 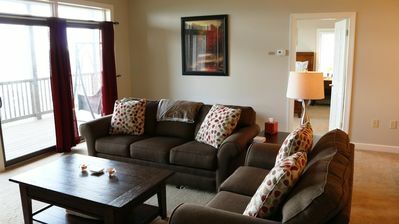 All Guests must abide by the Rental Agreement and House Rules. 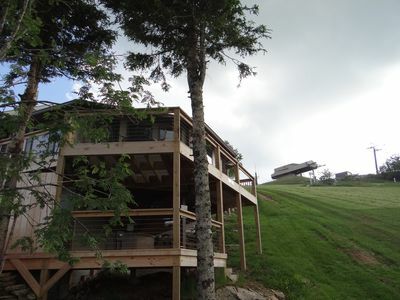 The best slopeside cabin with gorgeous views and the EASIEST entry and parking. 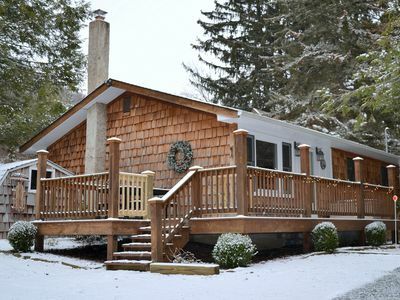 GORGEOUS Winter Bch Mt Chalet-- BEAUTIFULLY furnished! Beech Club Privileges! 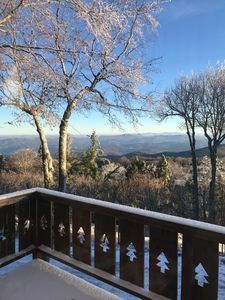 2 BR condo with sleeping loft, Mountain Escape! 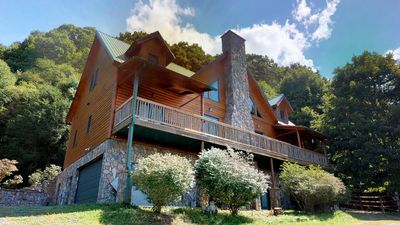 Panoramic Long Range Views off 2 Decks & Close to Everything! 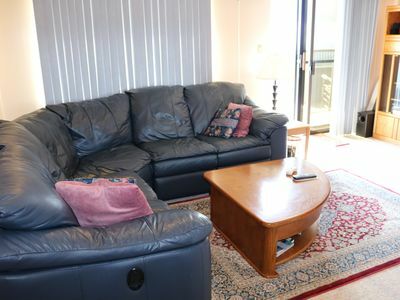 Resort Condo w/ Balcony - 2 Mi. to Beech Mtn!